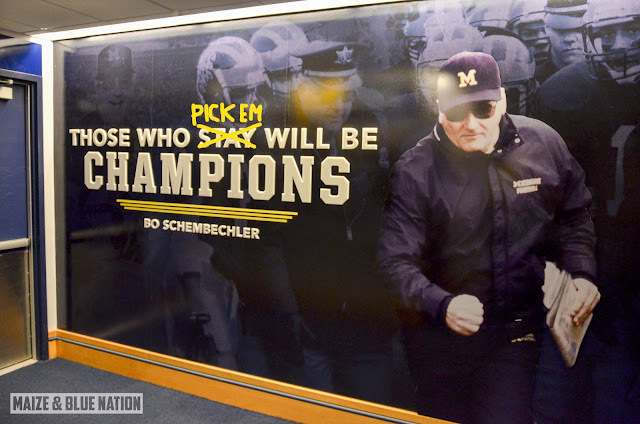 Those who pickem will be champions! It's that wonderful time of year again. Time for the MBN/UGP Maize & Bowl Pickem League! As always, our good friends at Underground Printing are offering coupon codes for the top 3 finishers. The codes are good for online only at both UGP and The Bo Store. It's a normal bowl pickem setup. Just pick the winner of each bowl game, rank them by confidence and you're all set. Bowl games start next Saturday, December 15th, so you still have time to get your entry in. Any questions, just let me know in the comments.